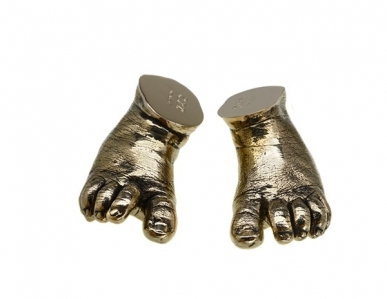 Sweet patinated bronze baby feet. We make them so that they can sit on the soles or on the smooth surface or propped up next to each other as in this image. It is such a joy to pick them up and feel how tiny those feet once were! 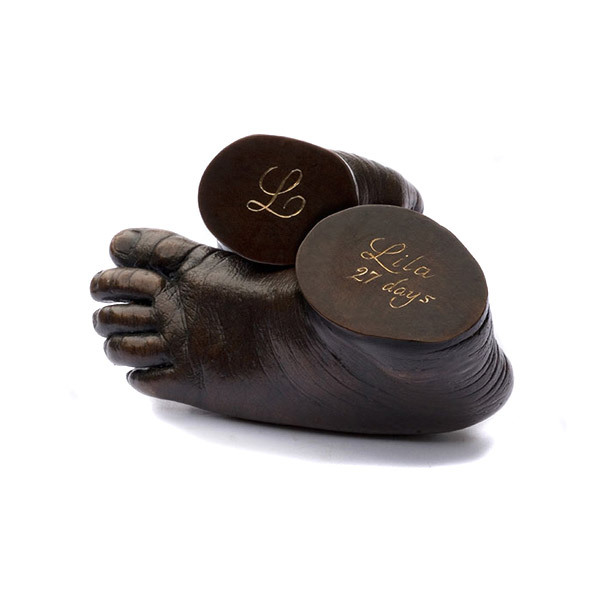 We can hand engrave the bronze baby feet with whatever you choose such as names and dates of birth. 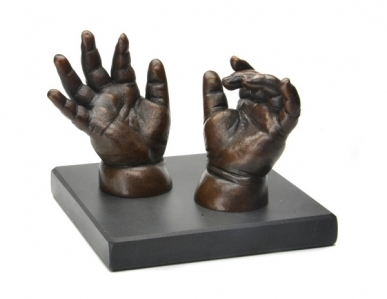 The cast comes with a slate display base that we can also engrave. 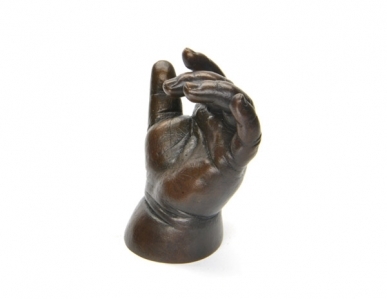 This image shows a pair of patinated bronze cast baby feet. We can also make them in a polished finish, plated in nickel, silver or gold, in solid silver or gold, or in glass. Prices start at £795 for a pair of 0-6 month feet or hands.